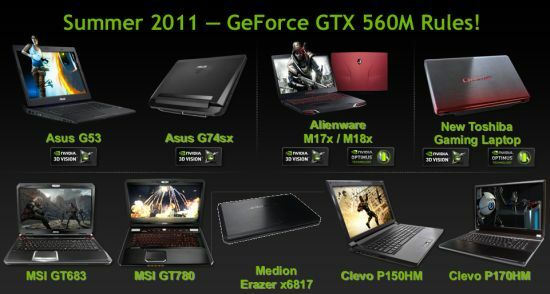 More information on GTX 560M homepage. NVIDIA is proud to say the GTX 560M is twice faster than the GT 540M. Okay this is nice, but what we’d like to know is the difference with the GTX 460M. And as reply, NVIDIA says: that depends on the application…(source). In short, there’s no really difference between GTX 460M and GTX 560M. I love my G74sx it’s Amazing with this Graphics card and came with 12GB of ram 😀 And it was cheap too, only $1400 from microcenter!